Through his life-long commitment to social justice and progressive social change, Phil has worked in a variety of capacities in government and the non-profit sector, especially in the areas of health, housing and social policy. Phil has conducted research on the social determinants of health and advocated to provincial decision makers for the adoption of this approach. At the City of Edmonton, Phil contributed to the development of a comprehensive affordable housing strategy and made recommendations to City Council addressing the concentration of non-market housing in inner city neighbourhoods. While at the Edmonton Social Planning Council, he conducted research on and advocated for issues linked to poverty and was the Edmonton lead on a national social inclusion research initiative. He has worked on diverse projects as a consultant in the areas of homelessness, health of refugees and immigrants, early childhood education and organizational governance. As a volunteer he has sat on the boards of 12 non-profit organizations and was chair of 8. As past chair he helped the Bissel Centre shift its focus from providing programs and services to a vision of eliminating poverty in Edmonton. He has helped many non-profit organizations throughout Alberta improve their governance practices through his role as a volunteer board instructor. 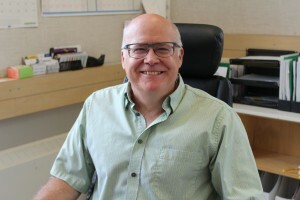 Over the past decade he has taught courses in managing organizational change at MacEwan University and program planning and evaluation at the University of Alberta. Phil has an MSc in Health Promotion from the University of Alberta and has completed the course work in a PhD program in Human Ecology, also at the U of A.
Mitali came to Canada in October 2008 as a temporary foreign worker from Boston, USA to work for University of Alberta. 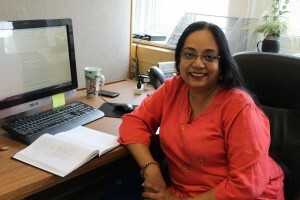 She was born and raised in India where she did her Ph.D. in Zoology from Bose Institute, Calcutta, India. Mitali continued to gain two postdoctoral in transfusion medicine and cryopreservation from University of California, Davis and Harvard Medical School/ Shriners Hospital for Children/Massachusetts General Hospital, Boston respectively. After obtaining her permanent residency status in 2012 Mitali worked for Sikh Federation of Edmonton (SFE), a non-profit organization, as a Settlement counselor where she helped clients with diverse backgrounds integrate into Canadian society. Mitali’s current engagement with the Edmonton Multicultural Coalition as Community Animator Coordinator aims at community development, empowerment and building the capacity of ethnocultural communities by unlocking and maximizing the potential of the community animators. Mitali enjoys meeting and interacting with people at a very personal level and tries to assist them to attain their goals. Yodit was born and raised in Edmonton, Alberta to Eritrean parents who arrived in Canada in the late 1980’s. She developed an interest in community work and culture from her involvement with the multicultural communities here in Edmonton and through her academic studies. She graduated from the University of Alberta with a Bachelor’s Degree, double majoring in Psychology and Sociology. Throughout her university career, Yodit volunteered and worked with non-profit organizations that served new comer and refugee populations in Edmonton. Yodit takes great interest in community development and in particular minority and ethno-cultural communities. Yodit aspires to make a positive impact to the members of the Coalition and the wonderful communities she gets to meet! 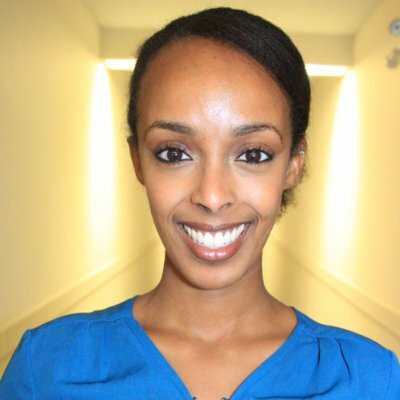 Yodit currently works with the Edmonton Multicultural Coalition as a Project Coordinator and is excited to be working with a great organization that advocates for equitable access and opportunities for ethno-cultural communities.